Home » The Law & You » I Tripped Over a Curb at a Gas Station. Can I Sue the Business? I Tripped Over a Curb at a Gas Station. Can I Sue the Business? While walking out of a gas station, a viewer tripped over the curb that he couldn’t see. He broke his ankle. Can he sue the gas station for the trip and fall? 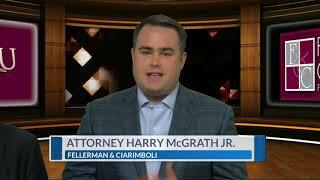 Attorneys Greg Fellerman and Harry McGrath Jr. have the answer.